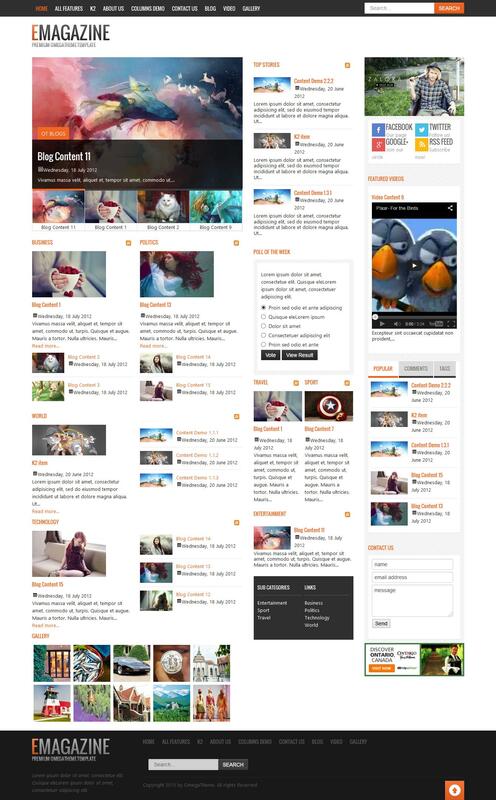 OT Emagazine - once functional template for CMS Joomla 2.5, developed by a team of developers OmegaTheme. Lightweight design template made in light colors looks very stylish on any screens and mobile devices. The structure of the template includes a popular content management manager K2, which provides a flexible and convenient to work with the materials of the site. This template has a fast speed and excellent optimization through the use of modern platform OMG Responsive Framework, which was developed on the basis of today's Web - technologies. OT Emagazine - the perfect choice for news websites, online magazines and personal blogs.